Today marks the first day of my husband and I eating whole for 30 days (Whole 30 diet/Paleo). We’re cutting out artificial sugars, alcohol, gluten, grains, dairy, all starches and legumes. We’ll be eating a diet consisting of a lean meats, organic fruits and vegetables and I am so excited!! We eat really healthy, whole foods on a regular basis, but I have a dairy addiction and we have weeks here and there of tiredness where lot of take out is ordered. So we’re due for a body and mind reset and I couldn’t be more jazzed about it! I’m hoping after the end of the month our bodies will stop craving heavy, naughty foods that seem to be part of normal life during the winter months. Two packets of Sambazon Açaí Super Fruit Packets, fresh organic fruit of your choice (we used for this bowl bananas, strawberries, and blueberries), next we sprinkled dry blueberries from Trader Joe’s on top for a little crunch, then added organic bee pollen and then drizzled a little raw honey on top. We also usually sprinkle organic shredded coconut on top as well, but this morning we decided to skip it. All you have to do is throw the Açaí packets into a blender with a little almond milk or a juice of your choice, and mix it up and throw in a bowl. 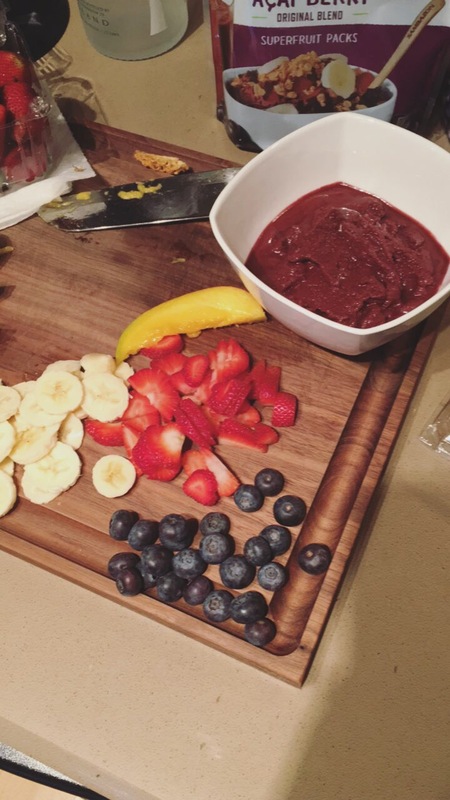 However, you have to make sure the Açaí is still mostly frozen or you will be eating Açaí soup. This breakfast is packed full of nutrition, antioxidants, energy boosters, natural sugars and is vegan, gluten free and paleo approved. Its one of our favorite breakfast recipes to make over the weekend! Normally I cook with Ghee (clarified butter) instead of coconut/olive oil or butter, so this is not a new product to our cupboards. 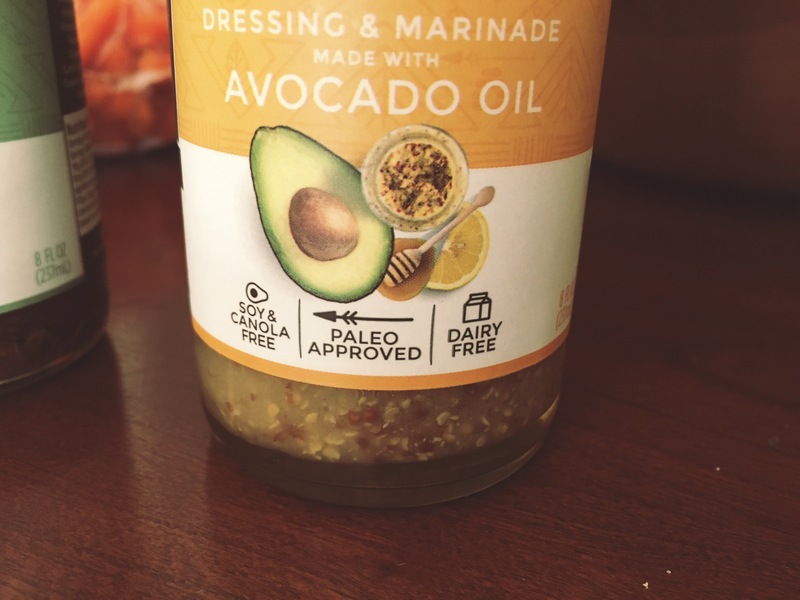 However, I ran across these Primal Kitchen paleo-approved dressings at Raley’s yesterday and I decided to grab a few just so I don’t have to make a dressing from scratch for every salad. Lazy I know, but sometimes you just need a quick go-to. We love dried fruit as a snack and having fresh fruit as dessert or for breakfast. As you can see there are lots of veggies and fruit, nuts as well as salty vice for my husband that he loves…smoked canned oysters…I am not a fan. However, they are a good source of lean protein, so he indulges. Needless to say I am excited to start this process and share our journey with you!! I’ll be posting more recipes throughout the month and other easy ways to jumpstart your health! Just a mountain girl living the dream one day at a time.